Fixed-price transportation from the Kajaani Airport.. 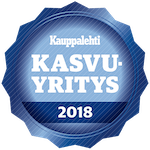 High-quality taxi service in the Kajaani and Vuokatti areas. We offer charter coaches from 1 to 55 seats. Fixed-price transportation from the Kajaani Airport. We are located in Kajaani, on Syväojankatu, where we have a maintenance workshop and offices.